I say Ortovox's 3+ is one of the best choices in today's crop of avalanche transceivers. The class of 2012 offers us a lot of innovation, but it also offers a lot of complexity. Leave the complexity to others (if you don't explicitly need it) and go with the Ortovox's effective fusion of simplicity and technology. Key features of the three-antenna 3+ include the beacon's self-orienting sensor. While transmitting, the beacon senses its actual orientation relative to vertical, and automatically switches between antennas to select the best choice. This technology is unique to Ortovox (at least currently), and in practice makes the 3+ one of the better beacons in terms of range (both searching and transmitting). Ortovox feels so strongly about this self-orienting concept that it is revamping its entire line of beacons (as of 2013) to include it in each and every model. Technology is important, but interface design perhaps trumps all, and in this regard the Ortovox 3+ is simple and well-conceived. It is possible to pull this beacon out of the box and begin running successful searches right away with no further instruction. In general, the 3+ employs clear graphic icons on its LCD display to let you know which mode it is in and what is currently happening. 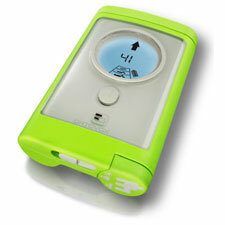 Obviously, there is a class of user (including guides and avalanche professionals) that may want a more complex beacon, with more features, but I think the 3+ really hits the sweet spot as the right beacon for the large majority of users—and the 3+ does include a simple-to use marking feature for multiple burial scenarios, so don't think this is a beginner's-only beacon. Weighing 7.8 ounces (measured), battery and attachment cord included, the 3+ is very slightly heavier than its two most significant competitors, and about the same physical size. I would prefer to see beacons in this feature category offered at smaller sizes and weights, but for now, they don't exist. With all beacons, 3+ included, you should practice regularly to familiarize yourself with your specific device—they all have their own quirks, and you don't want to get acquainted with them for the first time in an actual emergency. Finally, always remember a beacon is a tool of last resort. Your welfare depends on not getting caught in the first place.